April is going to be one of the most exciting months of my blogging life. For the blogging marathon, we have decided that this month we are going to do a month long marathon posting a recipe every day for this month. For this our leader Srivalli chose 4 different themes, one for each week. 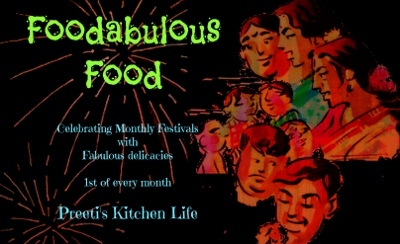 The themes are amazing and it makes us think and research for different recipes pertaining to the themes. I would request all my readers to encourage all of the mega marathoners by visiting us during this week and sending us a note if you liked the recipes. Theme for week one is Occasion. When thinking about what to choose, I kept in mind that my mother is coming to visit me during this time and hence I wanted to keep it pretty traditional and as learning process for me as well. Hence I chose traditional South Indian (Tamil) wedding as my occasion. I always loved to go to weddings. Even as a kid all the amazing food served during the wedding never failed to awe me. I love that the traditional wedding always followed a pattern for their menus during the different days of the ceremony. I have chosen few recipes that are my favorites that are served during the wedding and I hope you like them as well. 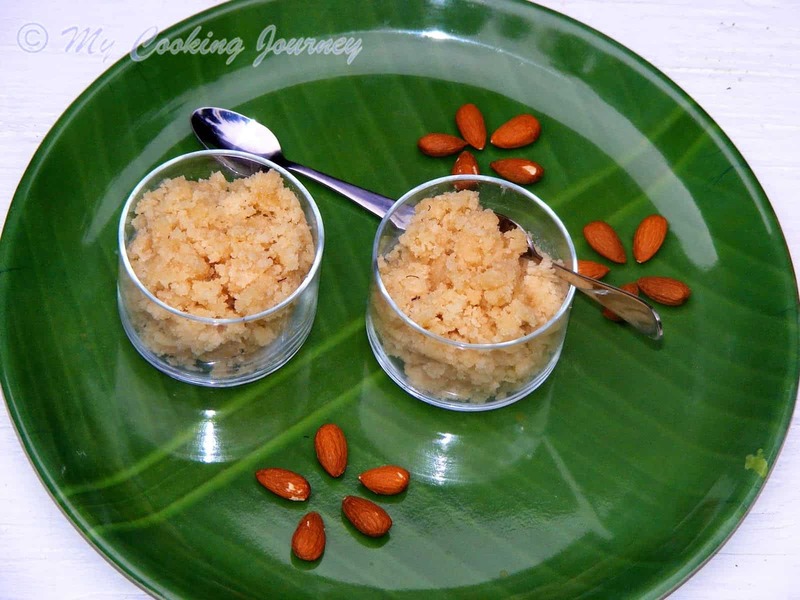 Badam kheer is one of the payasams (kheers) that is served during the Nichyathartham /Jaanavaasam ceremony. This is the day 1 of the wedding where both families exchange the wedding agreement in writing and happily accept the wedding between the two families. In olden days the groom is invited to the wedding by having an enormous ceremony and he generally is made to travel on grandly decorated cars. There are kids sitting all around the groom when the car goes for a round all over the street. There are people singing and playing instruments (nathaswaram and thavil) when the car is driven very slowly. The whole family walks with the procession and the ladies of the family are carrying all kinds of goodies (fruits and sweets) to take to the wedding. The car stops at a temple near the wedding hall and they do a quick prayer before going to the wedding. 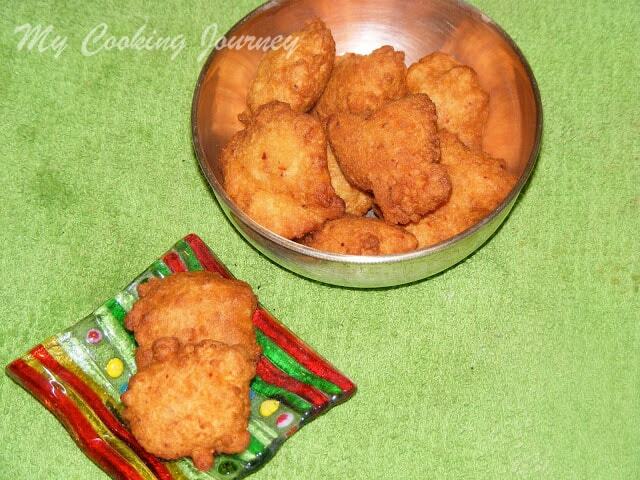 Once they reach the hall, nichyathartham takes place and then it is time for dinner (my favorite). 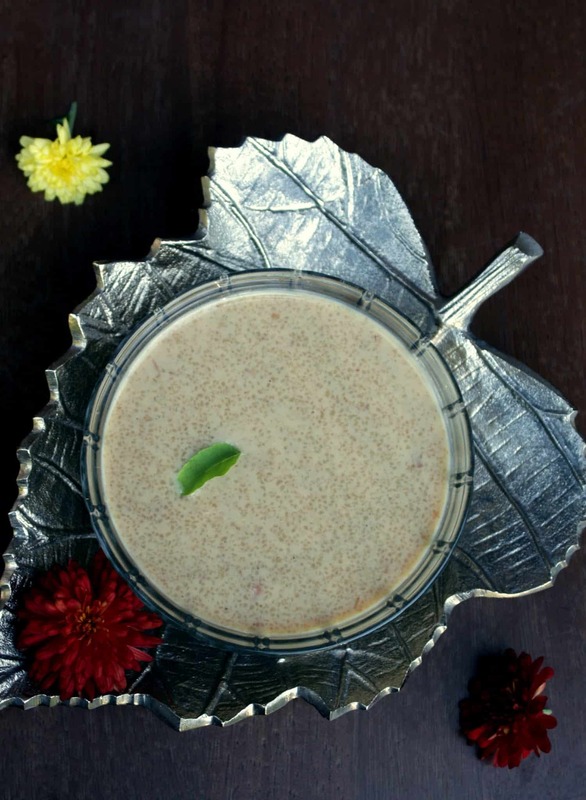 Coming to the recipe, badam kheer, it is a very simple payasam which is easy to make using very few ingredients. 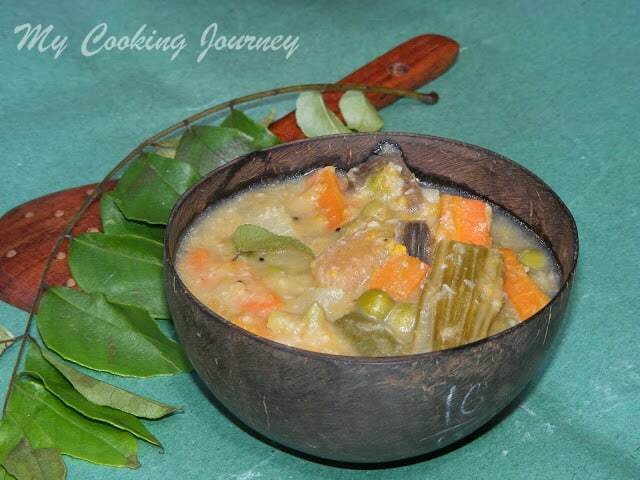 The badam (almonds) as such gives a richness to the payasam. Typically the badam is soaked overnight and then peeled in the morning. I generally never remember to soak it in advance and hence I always soak it very hot water for about an hour. What works really well is soaking the almonds in hot water inside a hot case or a thermos. This quickens the process and the badam is ready to peel within half an hour. Also the badam peels with a lot of ease. the skin simply slips out in between the fingers. Once the badam is soaked, peel the skin and then grind it into a smooth paste using little water. 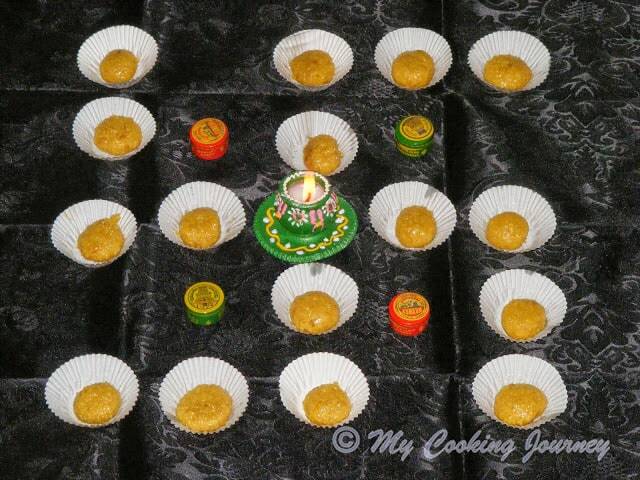 In a deep thick bottomed pan, cook the ground badam in low heat until the raw smell goes away (about 15 mins). Now add the sugar and let it come to a boil. The kheer would liquefy once the sugar is added. Let it cook for few more mins (about 10 mins). Meantime, in a small bowl add some warm milk and dissolve the saffron thread in the milk. Keep this aside to add to the kheer at a later stage. Once the sugar dissolves, add the boiled milk and mix well. Check for the sugar and add more if needed, depending on your liking. Let it come to a boil. Simmer and then add the dissolved saffron/milk mixture. Mix well and garnish with nuts of your choice. 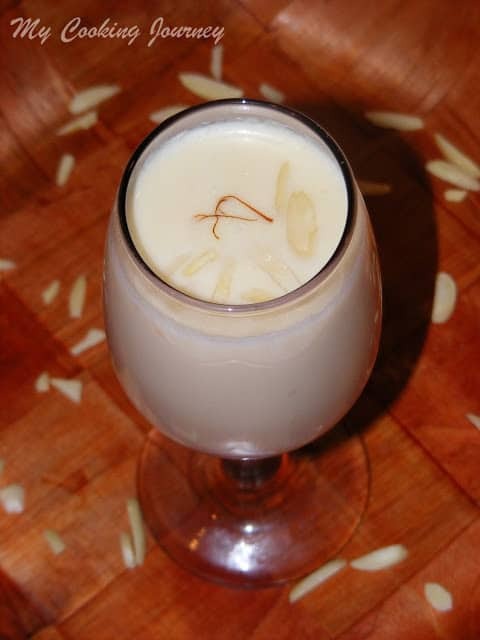 I generally do not add any garnish for badam kheer, because I like the smooth texture of the kheer by itself. 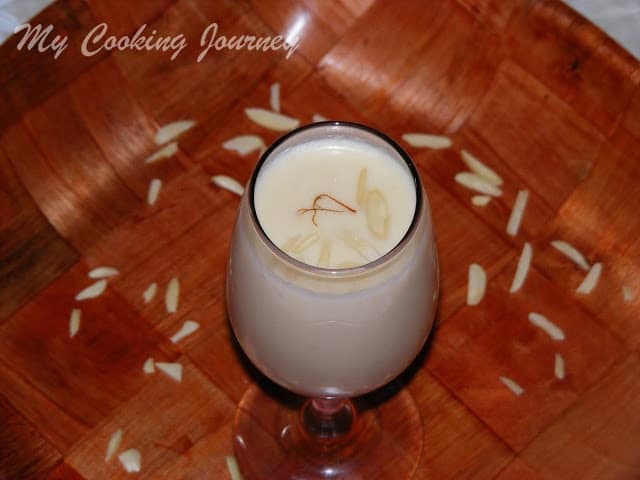 Refrigerate the badam kheer for couple of hours and serve chilled. lovely kheer. My father-in-law's fav kheer!! Tht is a delectable kheer fit for any occasion. 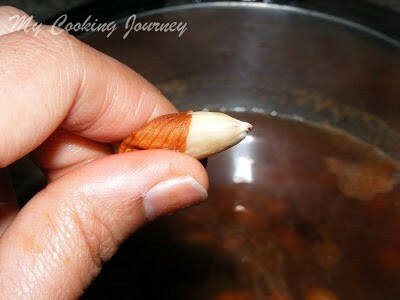 Rich,super nutty and definitely a delicious kheer for any occasion..Lovely. 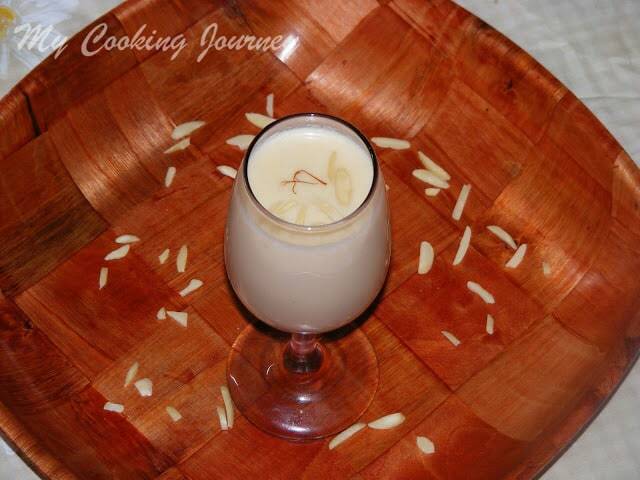 Delicious kheer and love anything with almonds. I guess most of us have the same custom ..where the groom goes to the temple…nice to read about the various customs…and the badaam kheer is inviting..apt for the occasion. Rich and delicious Kheer!! 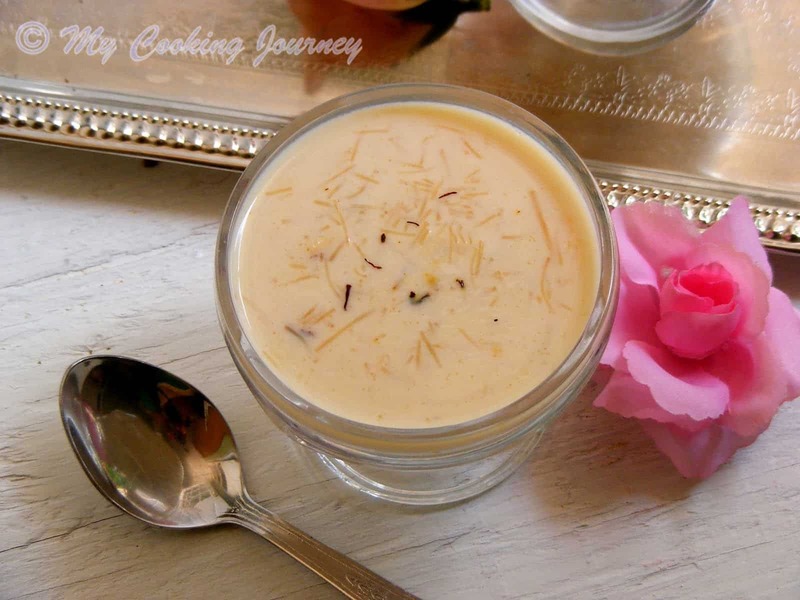 Love to have any time..
badam kheer look perfect and awesome dessert to serve after meal. I love chilled Badam Kheer! Yummy kheer! Loved reading about the ceremony Sandhya. Almond kheer sounds amazing.